ARA TechBis Sdn. Bhd. is a specialist in technology solutions delivering high quality end-to-end services to enterprises and independent software vendors (ISVs). ARA TECHBIS strive to be the leading vendor for All Technology Related Solutions – leverages on its deep knowledge of technology, industry domain and business processes to provide IT Enabled Business Solutions across technologies and verticals. 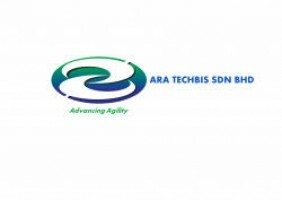 ARA TechBis Sdn Bhd was established in November 2001 and is a fully owned Malaysian company registered with the Ministry of Finance Malaysia and PETRONAS. The company has been quite illustrious in bringing out very successful smart partnership from across the sphere to provide cost effective solutions and at the same time ensure the transfer of technology to develop the local ingenuity. ARA TechBis’ incumbents are well experienced and possess the imperative acumen, ability to deliver the needs of the Malaysian ICT industry and farther.